huge improvement over the broom. electric guitar, a Supro Ozark 1560S; Jimi used it when he joined The Rocking Kings. white-oriented rock, goes back to Howlin Wolf’s recordings in the early 1950s” (Floyd 1995:202). changed Jimmy James' name to Jimi. 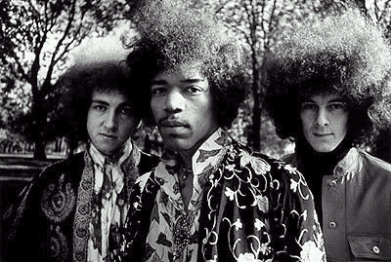 trio became The Jimi Hendrix Experience. length album Are You Experienced, a psychedelic musical compilation featuring anthems of a generation. 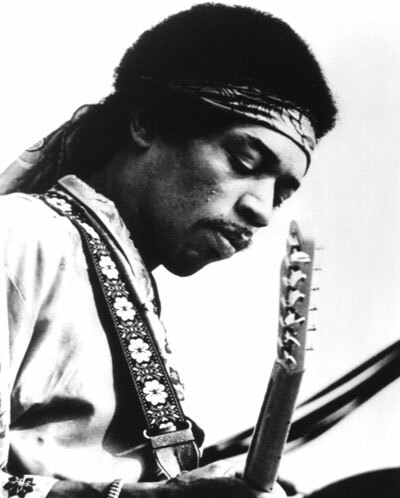 "Purple Haze," "The Wind Cries Mary," "Foxey Lady," "Fire," and "Are You Experienced?" distortion, feedback and sheer volume - brought texture to his overall approach” (Vh1.com-Jimi Hendrix). have a large fan base. And at that time, the majority of Jimi’s fans were white. most popular and highest grossing touring acts in the world.